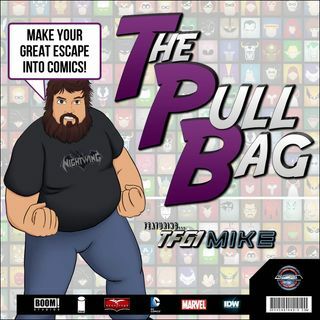 TPB Back Issue Classics Episode 94 is here! Cue STAN BUSH becausewe have THE TOUCH !!! Mike and Ryan return to Talkin' Transformers... We are More Than Meets The Eye, we are Robots in Disguise! We ENTER A VERY DIFFERENT WORLD OF The Transformers this week. We explore the combined worlds of Angry Birds Transformers!!! You'll only find it here inside The Pull Bag! TRANSFORM AND ROLL OUT!! As always Make Your Great Escape Into Comics!! !